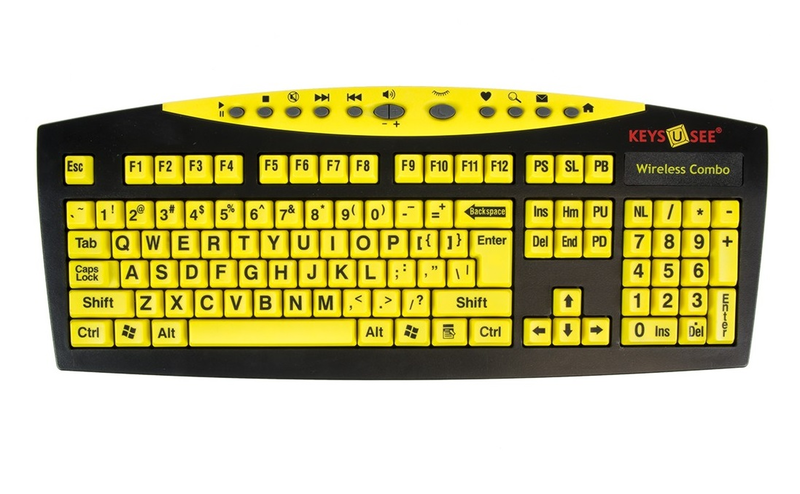 Keys-U-See is a large print, wireless black keyboard with yellow keys and includes a wireless optical mouse with scroll wheel from AbleNet. Keys-U-See has been designed specifically for those with conditions that cause visual impairment or low vision, such as: Macular Degeneration, Glaucoma, Diabetic Retinopathy, Cataracts, Age related vision loss. With a bigger and bolder typeface, the keys are easier to see.